In the wake of the massive THQ fiasco, it seems like no publisher is safe from the dwindling sales of video games. Next up on the list of victims falling into bankruptcy: Atari. The godfather of all video game companies' US branch is now looking to pull away from their troubled French parent company before getting back into focusing on digital distribution. Of course, Atari is the company who invented the current model for our modern consoles. 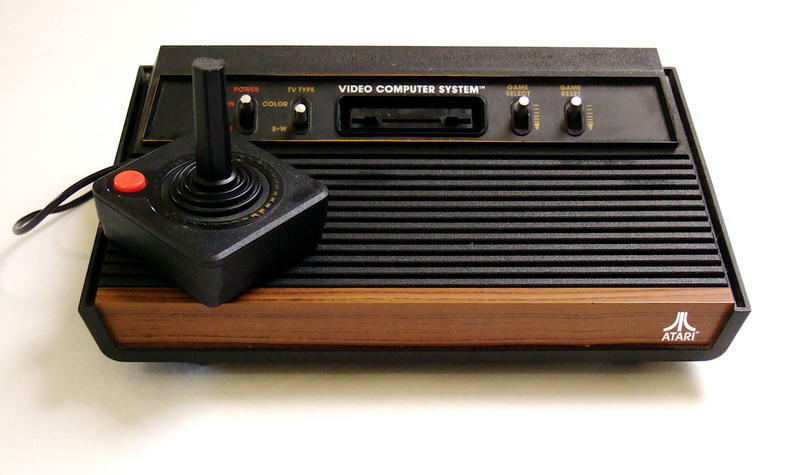 The iconic Atari 2600 and its wooden paneling revolutionized the market as the first console to use ROM based cartridges. With this idea, any number of games could be played from the same system and games could be sold and made much cheaper. Atari continued to battle in the console wars until the early 1990s when it could no longer compete with the likes of Nintendo and SEGA. Since then, the Atari name has been passed through a number of larger publishers from Hasbro to Infogrames and even Namco, of all companies. Although, hardly made of the same people who created the home console industry, the name brand still held a significant presence to gamers. Despite hard times for the publisher, the last two year of the American branch have proven to be profitable. The company pulled in $11 million in 2011 and dropped to 43% with only $4 million in 2012. Despite this, the US branch of Atari, consisting of roughly 40 people, believes that breaking free from their French parent company will allow them to emerge as a new brand that can survive off their own resources. Atari US is now on the lookout for a buyer to make it all happen. They currently have $5.25 million of debtor-in-possession and are selling off their classic brand logo as well as assets like Pong and Asteroids.